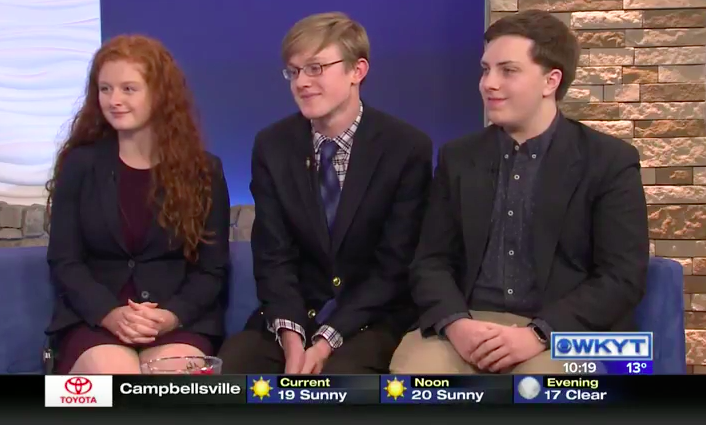 The Bluegrass Youth Sustainability Council is a project-based organization composed of passionate and driven students from all Fayette County high schools. The Community Outreach Committee has begun an essay contest about sustainability. This contest is for both middle and high school students. There will be prizes awarded to individuals and a solar charger will be given to the school with the most submissions. Click HERE for more information. Essays should be submitted by March 31st. Bluegrass Tomorrow is a local nonprofit who connects, unifies and motivates current and future stakeholders of the Bluegrass Region to protect and promote Quality of Life activities. 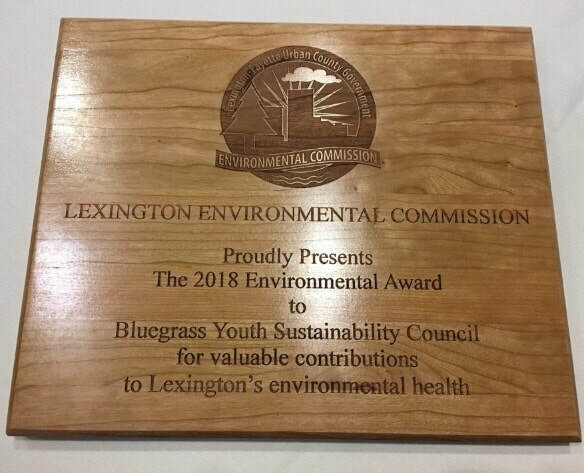 In recognition of Bluegrass Youth Sustainability Council’s extraordinary efforts to mobilize youth from all Lexington’s public and private high schools to improve Lexington’s sustainability, Bluegrass Tomorrow will recognize BYSC at their Feb 5th Vision Awards Breakfast. 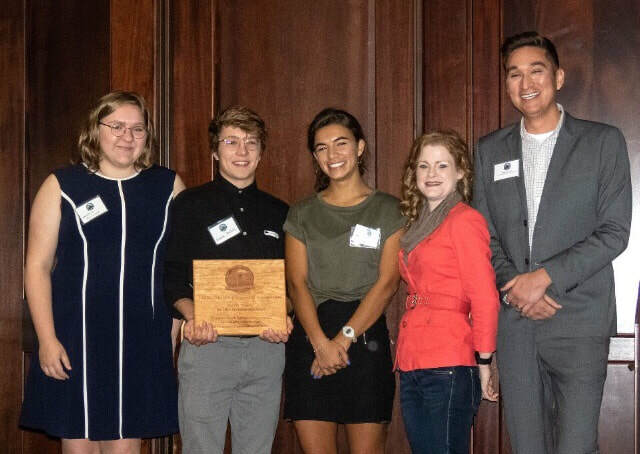 WE Schools, an international youth service learning organization that challenges and empowers young people to identify and tackle local and global issues that spark their passion, has tapped Bluegrass Youth Sustainability Council as one of their 2019 Impact Stories. 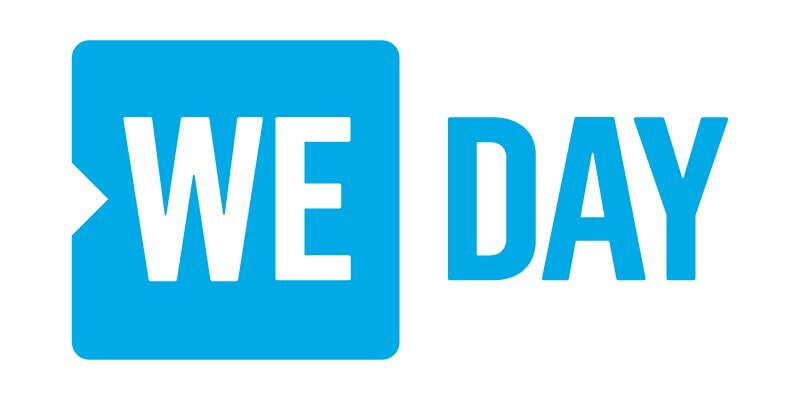 BYSC’s Urban Gardening Project Committee will accept the recognition at KY’s WE Day April 16th at Louisville’s KY Center for the Arts. Some projects that will be featured at the April 2019 event includes offering youth voice to Lexington Town Branch Park Partners and designing and installation of cinderblock planters at several area high schools. In December of 2017, the BYSC was interview on LEX18 about the council and different on going/past projects. Click HERE to watch that interview. Interested in joining the BYSC? Applications for the 2019-20 Council are avaliable!